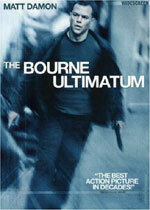 adapted as "The Bourne Ultimatum"
Synopsis: The world's two deadliest spies in the ultimate showdown. At a small-town carnival two men, each mysteriously summoned by telegram, witness a bizarre killing. The telegrams are signed Jason Bourne. Only they know Bourne's true identity and understand the telegram is really a message from Bourne's mortal enemy, Carlos, known also as the Jackal, the world's deadliest and most elusive terrorist. And furthermore, they know that the Jackal wants: a final confrontation with Bourne. Now David Webb, professor of Oriental studies, husband, and father, must do what he hoped he would never have to do again — assume the terrible identity of Jason Bourne. His plan is simple: to infiltrate the politically and economically Medusan group and use himself as bait to lure the cunning Jackal into a deadly trap — a trap from which only one of them will escape. 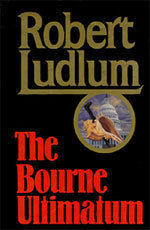 Additional notes: Robert Ludlum originally wrote a trilogy of thrillers featuring Jason Bourne. The series is being continued by Eric Van Lustbader with permissiong from the estate of Robert Ludlum.